I just finished reading a book called “The Servant.” It’s about this guy that is really screwing up at work, his relationships are not all that great, and he is basically just lost in life. His wife encourages him to go to this leadership course that’s located at a monastery, of all places. One of the monks there used to be a high-powered business guy that basically left it all to teach people how to lead others by becoming a servant first. Does that sound like a contradiction to you? It did to me as well, but I kept reading and came across some real wisdom. Some of the best leaders in the history of the world were servants. Think about Gandhi, Dr. Martin Luther King, or Nelson Mandela. They didn’t just show up on the scene and pronounce themselves as the leader of a movement and encourage everybody to follow them. They worked with the people and for the people. They served others and their causes unselfishly, which is why they ended up with so much support. These guys were true leaders, and as a result have inspired millions of people. How much of this do we see in business today? How many of you can say that your CEO comes to work every day to serve the shareholders and the people in your company instead of sitting behind a desk of power, delegating all of the heavy lifting, expecting others to serve him or her? Does that leader work for you or do you work for them? 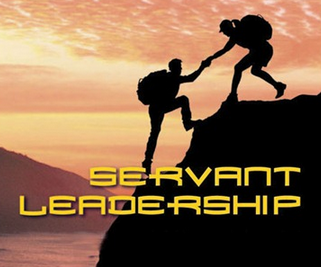 How many of you are that servant leader? What if we all were? My friend Mike Magnuson started a website called GoodBed.com that helps over 150,000 mattress consumers a month. This team wakes up every day trying to figure out how to take the mystery out of the mattress-shopping experience and give the consumer a little help in navigating the obstacle course we have created. If you have not already, take a look at what GoodBed.com is doing. You might get some ideas on how you can serve the consumer. When I think about the greatest leader of all time, I am immediately drawn to my faith as a guide to the answer. If you give that one some thought, I am sure you will get to the same place I did, and if not, I hope that someday you do. No matter the brand of religion you subscribe to, the inspiration is the same. How are we serving the industry and our consumers? What are YOU doing to improve our world? Tell me in the comments section below. Excellent article and even a better point. “The greatest leaders are the greatest servents”. Utilizing this principle in our professional lives insulates us from falling prey to the predatory nature of the business world IMO. You are doing a good deed with your approach to our industry…keep it up! Thank you very much for the comment. It is great to get feedback from people like you. Well done Mark. This clearly goes against human nature but it is Biblical and proper advice. It is also in very short supply, especially in Washington, DC! My wife likes the saying “Bloom where you are planted!” You are blooming nicely in your responsibilities at Leggett. I appreciate the comments Jimmy, just trying to keep up with the rest of you! I agree that this approach to leadership is in short supply but when it is present, you can easily see it and the positive result it delivers. My dad told me early on that the people he respected, throughout his career, were the ones who were willing to get down in the trenches with him and lead by example. It’s advice I took to heart and it’s always served me well. Even though my superiors haven’t always appreciated my approach, my peers and those who served under me have never baulked at my request. They knew that I had done, or was still willing to do, whatever I asked of them. I can’t imagine leading any other way. I am happy to say I have worked for someone just like this. You feel like a team and you work as a team. And together you try harder.